Are you looking for Cambria quartz dealers in Maryland, Baltimore, Annapolis, Northern Virginia, Alexandria or Fairfax to install a new countertop in your kitchen or bathroom? If you are considering a kitchen or bathroom remodeling project then it pays to know how important it is to make sure you have the right help in choosing and installing your counters. 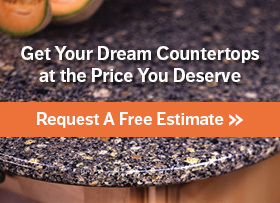 Express Countertops is the specialist Mid-Atlantic homeowners turn to for all things countertops. All we do is sell and install countertops, so we’ll make sure you get the counter you need to make your bathroom or kitchen design uniquely your own. Keep reading this page to learn all about choosing the perfect Cambria quartz dealers in Maryland and Virginia to ensure you get the right help. Like all home improvement and remodeling projects, buying countertops should start with research. One of the most obvious and most important qualities; you want to make sure offers a wide range of surface materials from a wide variety of manufacturers. In you’re specifically interested in quartz countertops, look for a contractor who carries a large variety of Cambria quartz colors. This will ensure that, no matter what your design aspirations are, all of your options will be in front of you while you make your ultimate decision. Some countertops are more difficult to install than others and, as a result, require specialized training in order to do correctly. When you’re hunting for Cambria quartz dealers who can provide and install countertops for you, you want to make sure that they can provide proof that they’ve performed the type of work you need before. This can take the form of testimonials, a portfolio of past work, or certification. No matter what, you want to be absolutely certain that they can competently have the work you need done so that the project goes as smoothly as possible. The longer someone who deals in and installs countertops has been in business, the more he or she has seen. You want to look for someone who has been in the industry for several years and, as a result, can make sure they know exactly how to handle the kind of work you need done as well as any potential setbacks that may occur. The last thing you need to happen is for an incident to derail the project while your countertop dealer scrambles for a solution. When it comes to any kind of home remodeling, you want to get everything in writing. As far as quartz countertops dealers are concerned, that means getting an estimate that will cover the Cambria quartz cost, the nature of the work, and the time in which everything is to be done. By getting these things in writing, you can get a very clear idea about how the project is supposed to develop and when things are on track. So when it comes to Cambria quartz dealers, what name can you trust to deliver a quality of service that’s unlike anything you’ve experienced before? Call us today at 410-712-0601 for your free, no-obligation estimate or click here to get in touch with us online. Your satisfaction is our goal, and we’ll go above and beyond to make sure that you get the perfect Cambria solid surface quartz counters for your kitchen or bath. With our expertise and long history of helping homeowners in cities like Baltimore, Annapolis, Alexandria, Fairfax, and others throughout the Maryland/Northern Virginia area. So rely on us to be your Cambria quartz dealers and we promise you won’t be disappointed with the results!